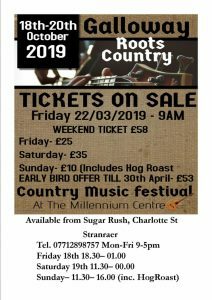 Tickets went on sale today for the first ever Galloway Roots Country Music festival to be held at the Millennium Centre in Stranraer on the the 18th- 20th of October 2019. 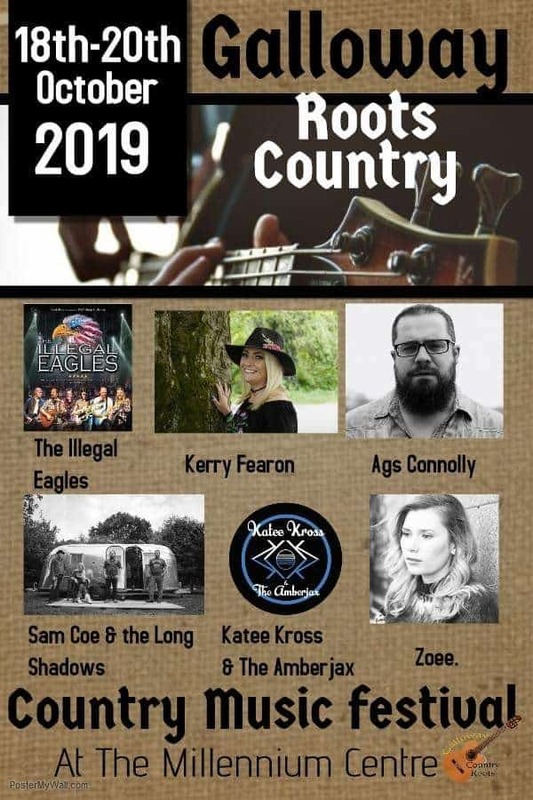 The Festival organisers are very excited to be bringing some of the top artists in the UK and some local talent from the Country Genre including including The Illegal Eagles, Katee Kross and The Amberjax, Ags Connolly, Sam Coe and the Long Shadows, Kerry Fearon and Zoee the new festival in the west of Dumfries and Galloway really guarantees to have something for any Country music fan. The ticket vendor has a card machine for phone purchases – call – 07712898757 Mon-Fri 9-5pm.